These last two weeks at school, we've been doing stuff like Euler's Number, Euler Graphs and Euler Circuits, which all came from Leonhard Paul Euler, who was a pioneering Swiss mathematician. When I was doing my assignment on Euler Graphs, I noticed that whenever I typed in 'a Euler Circuit' in Microsoft Word, I was always getting that green squiggly line below the 'a' and Office suggested that I change it to 'an'...and well it got me thinking, since I pronounce Euler as 'youler'. Normally, an English speaking person would pronounce the word like I do, 'youler', but apparently, it's pronounced 'oiler'; and that's why Microsoft Word was always complaining about it; because 'an "oiler" circuit' makes sense, but "a oiler circuit" doesn't. I am now in need of creating some graphs and trees and have decided to use Microsoft's Visio for this purpose. 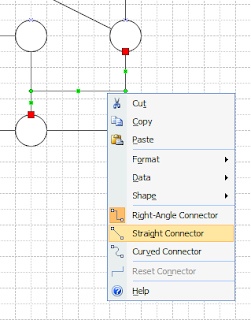 But the problem is that, by default, Visio's lines are set as Right-Angle Connectors and thus I couldn't create diagonal lines. 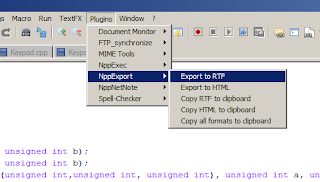 To implement code syntax highlighting, I used instructions from this post by Matthew V Ball. 1. Go to http://syntaxhighlighter.googlecode.com/svn/trunk/Styles/SyntaxHighlighter.css, then perform a "select all" and "copy". The css information is now in the clipboard. 2. Paste the css information at the end of the css section of your blogger html template (i.e., after ). Feel free to remove lines for languages you'll never use (for example, Delphi) -- it will save some loading time. 5. Use the "Preview" button to make sure your website is correct, then click "Save Template". 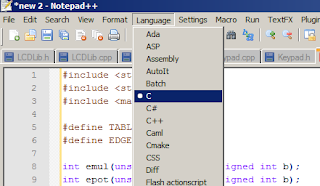 For performing the HTML escaping, you can get a good list of tools by searching for 'html esaper' or a similar term. Here's the one I used while writing this post.